NEW – Use Faerie Magic cards to counter absurd god myth believers.. HERE! Note: All graphics on this site are copyrighted ©2014-2015. Where noted, graphics may be shared and used freely, but never altered without permission by freeatheism.org administrators. Welcome Freethinkers, you are not alone! Whether you are a life long atheist, recently deconverted, skeptical about your religion or want to learn about atheists and humanists… start below to find a variety of resources. Reverting to Atheism or just curious how people do it. 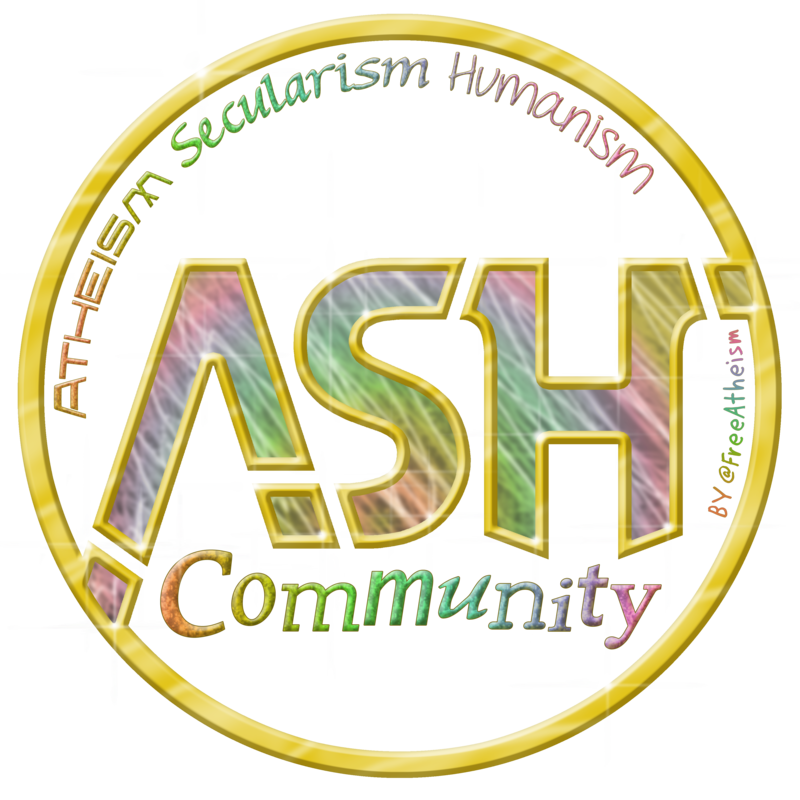 Also visit our ASH Community page to see what we are up to. Help out with the new ASH Violations project. Why you already agree that your god doesn’t exist. How is Atheism Freedom? See also Atheist Cake: More about unique atheistic freedoms. The definition of Atheism – a well detailed blog to refute believers who insist atheism is only defined their way. I can be resource for new argumentation and alerting people of new events and causes. I happily made a category fitting that specialty…. New arguments, Atheist Causes, current events! Excited by what you’re putting together here. Would love to share content between our sites. My wife @sbirry and I have started a podcast in part to chronicle her journey as a new atheist. All are invited to listen in. Find us at https://www.facebook.com/pages/Bar-Room-Atheist/491533774246367 or http://barroomatheist.podbean.com/ See you at the bar !!! Very happy that we are working together to help Atheism. find it’s proper place amongst all the other myths. info you might have right here on this post. I will probably be coming again to your blog for extra soon. What an amazing site you have. I am excited to see reality, logic and common sense take over the illogical, faith-based religious way of life. I am sure that some Theists will start to question their “faith” by reading through your site and THAT is what it’s all about, really. I will learn from your site and then, maybe someday, be able to contribute to it! Thank you for the compliment! The idea for the site came to me when the atheist avengers chose to stick to only on call debate and i thought the team should be made of all skills, not just debaters supporting atheists… but all types of backgrounds being on call to help. So i developed the lists and tools to support that purpose. hey this is a good course ok. the light of this world is facts and reasons not baseless beliefs. go higher and create the awareness. take over. I live peacefully and deny hypocrisy as much as I can. I don’t know what to believe. I have a problem with that. I feel a well being is in me to guide me though life good or bad. I didn’t grow up with knowledge of religion. Parts of my family like cousins were. I too feel things like that. Explore it if you like, but don’t settle on baseless or popular explanations. Think through it. If “God did it” doesn’t have reliable evidence then fall back to what we do know. Nature. Natural causes are the only type of causes we know of… so chances are feelings are just that… feelings and big brains doing amazing, mysterious things. Find me on twitter for easier convo… good luck. weblog posts. After all I will be subscribing on your rss feed and I’m hoping you write again soon! Analytics Blog – Right here you can obtain the most recent information, tips, and resources from the Google Analytics team. the video game for everyone, we do not believe in that.